Duplicate Possible mar. after death of wife in 1859. Hannah (?) married Henry Houghton. 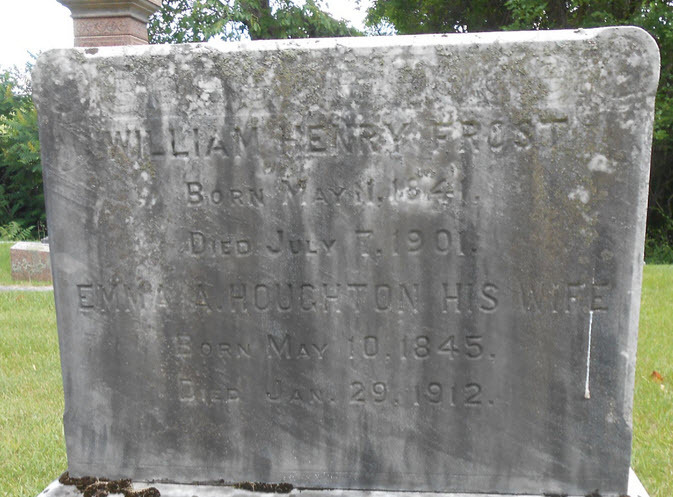 Emma Augusta Houghton married William Henry Frost in Jan 17, 1865 at Brattleboro, Windham Co., VT, USA, age 19. Jenny (?) married Darwin Houghton, son of Captain William C. Houghton and Maria Jones, in circa 1860 mar 40 years in 1900 census. Lucy M. Wilson married Center Lamb Houghton, son of Col. Artemas Houghton and Mary Goodrich. Annette I. Houghton married Ephraim B. Mason Jr in Jan 11, 1864 at Hartford, Windsor Co., VT, USA, she age 20.